MyTraffic 6a is a Payware Traffic Add On for Prepar3D, Bringing AI Airplane Traffic to all your favorite Airports. (1) The Official way: By using the MyTaffic 6 Communicator "MyTraffic 6 Control Panel"
You can Install to the Default C Drive Or Install to any Location on you choose, The Communicator (Control Panel) will add an [Entry] to your Simobjects.cfg that will make My Traffic 6 work from any Location on your Computer. 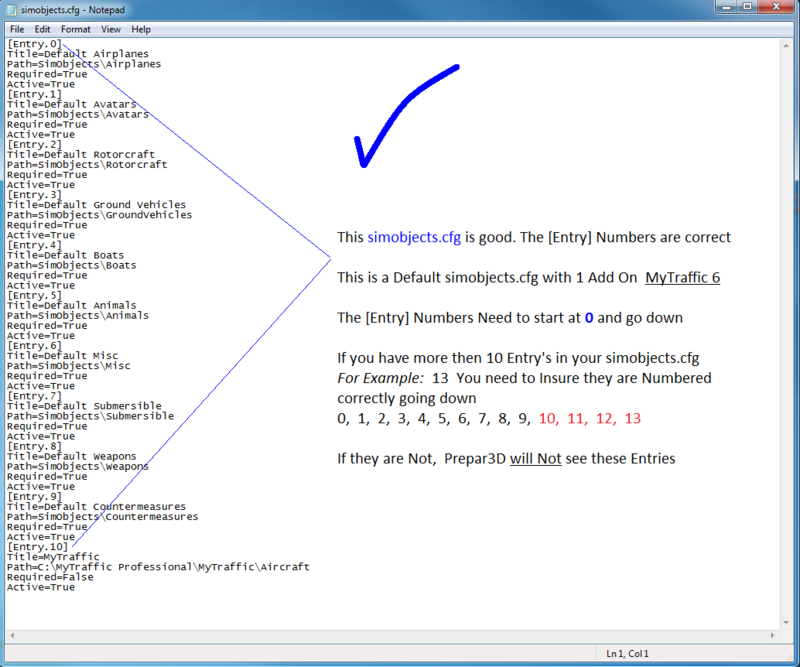 1 Click Manage Prepar3D V2/V3 .....2 Click Manage simobjects.cfg - v3...... 3 The simobjects box will pop up. 4 Click Add MyTraffic, You will have to scroll down to see your new [Entry], and as you can see the little poppet person is confirming that I now have the proper [Entry] for my simobjects.cfg. 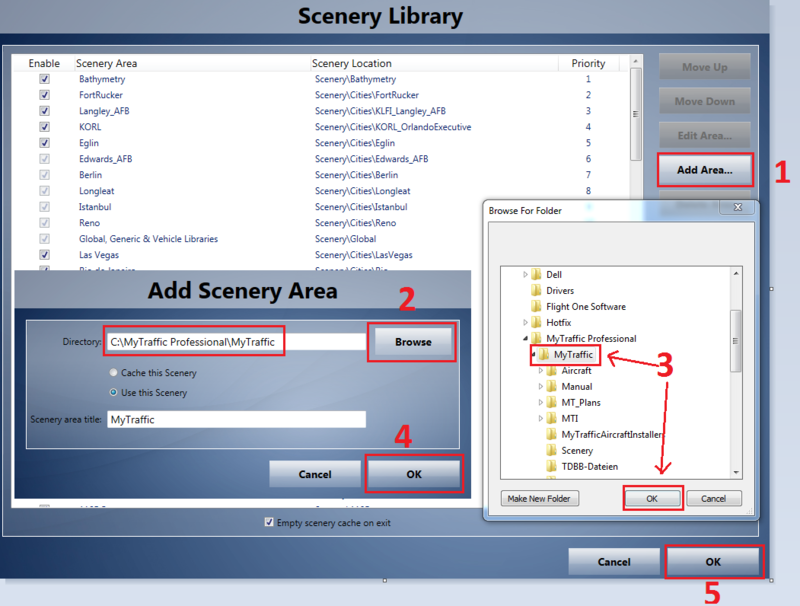 Note: You will still have to add your MyTaffic folder to your Prepa3D Scenery Library and Turn Off Default Prepar3D Traffic. 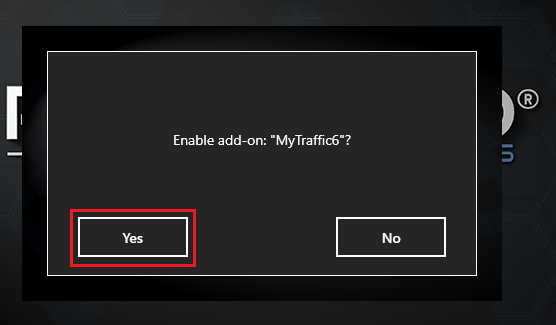 If you Installed MyTraffic 6 somewhere else as apposed to the Default location, did you Create a folder to Install MyTraffic 6 to ? What did you name this folder ? 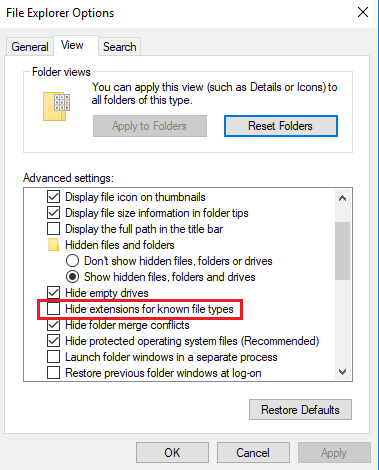 This is important because this extra folder extension will change the folder path= in your simobjects.cfg ! For Example: I am now Installing MyTraffic 6 and have decided to Install to my G Drive, I will Create a folder called MyTraffic6 and point the Installer to it Note: Notice how i left No spaces when i named this folder!! Your simobjects.cfg Path will be Path=X:\MyTraffic\Aircraft You will have to change the folder Letter to suit your Install Path. If you have Installed MyTraffic 6 to the Default C Drive you can Copy and Paste the above Entry into your simobjects.cfg. Thanks so very much for all your hard work in compiling this tutorial Elaine. After spending several attempts at installing MT, your easy to follow guide prevented me from pulling the last strands of my hair out. Many thanks. saw your post and was curious about My Traffic 6a (which I assume you are using). 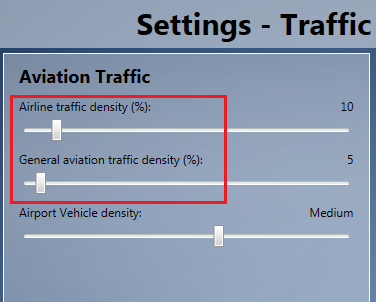 Have you installed or updated your p3dv3 to the .22.19868 version and if so..is your My Traffic networked or installed on the p3d machine? Did you rename the military aircraft bgl? I am not sure my crash is a result of adding it. I only have active sky; my traffic 6a and imaginesim Atlanta installed. Just trying to narrow it down. Thank you, 'Poppet', for such a well written explanation! I wish all such help articles were as succinct and understandable. So many of them just ramble on and on and leave a lot to the imagination! i did like in V3, but no traffic. The following steps is to use MyTraffic 6 for Prepar3D v4 using the add-on.xml file system, Using this method we Do Not need to use the Communicator and we Do Not need to add any entries to the simobjects.cfg file or the Scenery Library. 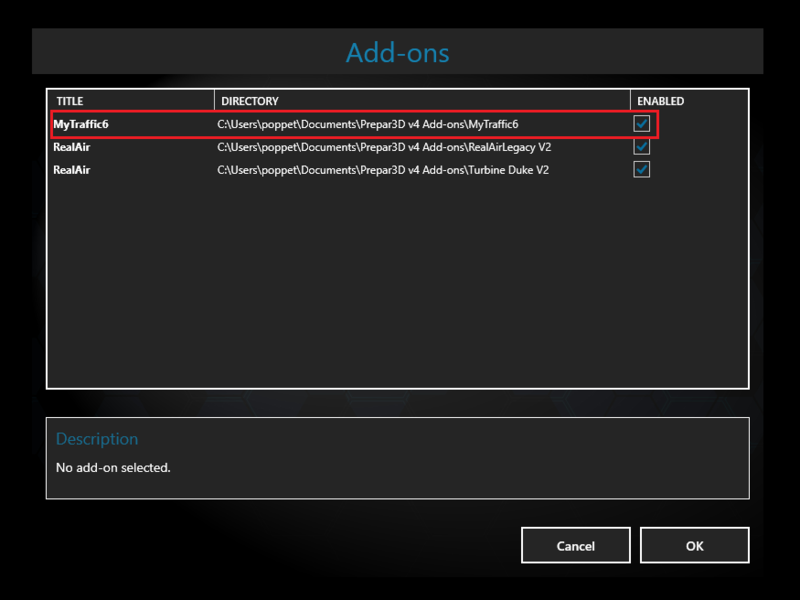 Right Click on your new add-on.xml file and Open. 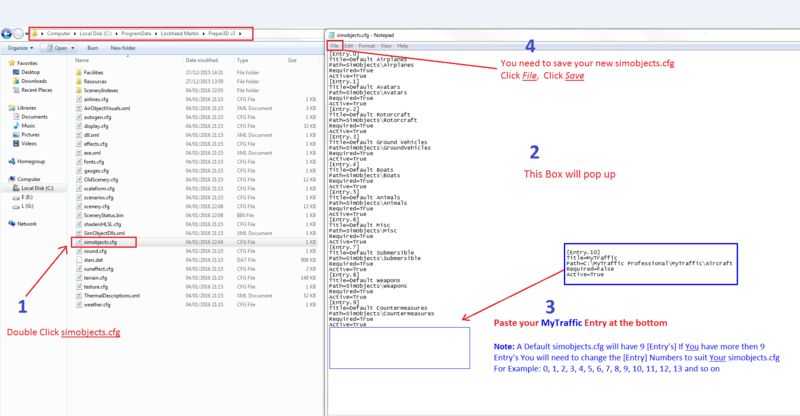 I´ve installed Mytraffic 6 in p3d V4 folowing step by step and it´s ok. But when i run GSX it doesn´t recognize the parks position and it positions my plane anywhere then when i desactived Mytraffic from Options>add-ons everything become normal. i installed everything as said but it seems that p3dv4 doesnt see a new addon it doesnt ask me if i want my trffi 6 to enable? 1) In what location have you Installed MyTraffic 6 ? The default C-Drive location ? 2) Are you sure your add-on.xml file is actually saved as an .xml file and not still as a Tex Document ? Then go back and Insure your add-on.xml is this add-on.xml, Maybe it says this add-on.xml.txt ? Is anyone aware if My Traffic 6 will update to a v4 installer in the near future? Hi Elaine. Just purchase P3DV4. Followed your instructions. 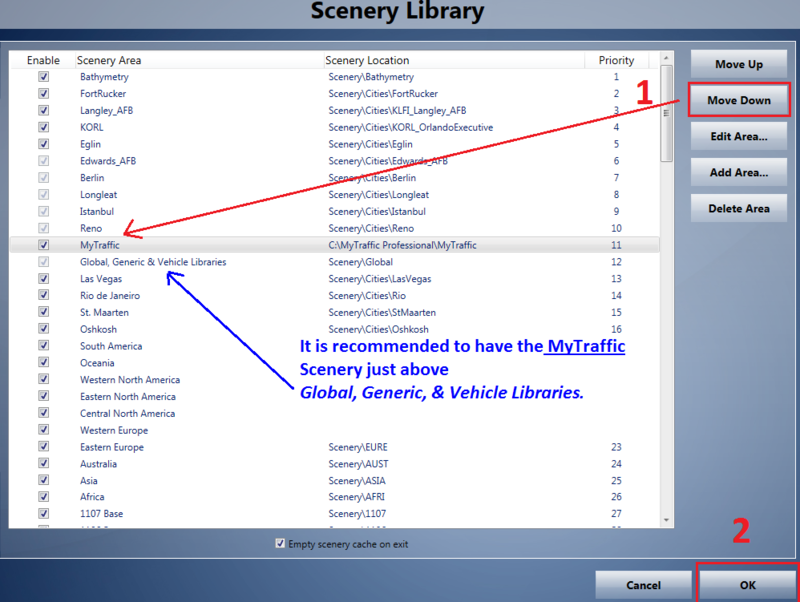 I am able to go to "options" "add-ons" and add the MyTraffic6 and it does show up in my scenery library. However, after I restart P3DV4 I still don't get any MTX AI traffic. Just to give more information. P3D says it can't find the MyTraffic scenery file. It is spelled correctly and has the correct drive where it is locatd. I have tried both but the .xml is the one I am currently trying. Every works until I go to the add-ons and click on the file and it says it cannot find it. I have installed P3D outside the Program files if that makes any difference.